India, 18 April 2019 -- Bharat Book Bureau Provides the Trending Market Research Report on "Global Soups Market Research Report Forecast to 2025” (https://www.bharatbook.com/marketreports/global-soups-market-research-report-forecast-to-2025/1451505) under Food & Beverage Category. The report offers a collection of superior market research, market analysis, and competitive intelligence and industry reports. India, 18 April 2019 -- The chinese market for edible oils has been in mature status for the past years. 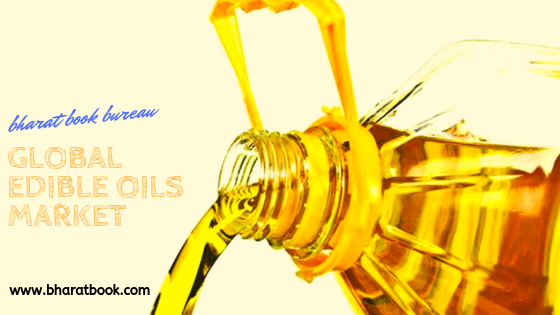 Edible oils has been used by people for thousands of years, and the use of edible oils has also been recognized in many areas. India, 18 April 2019 -- Bharat Book Bureau Provides the Trending Market Research Report on “Asia Pacific Plant Milk Market Report (2014-2024) -Market Size, Share, Price, Trend and Forecast”under Food & Beverage Category. The report offers a collection of superior market research, market analysis, competitive intelligence and Market reports. india, 17 April 2019 -- Bharat Book Bureau Provides the Trending Market Research Report on “Global Frozen Fruit Market”under Frozen Foods Category. The report offers a collection of superior market research, market analysis, competitive intelligence and Market reports.